Over the years our methods for communicating with parents and the community have changed. I will attempt to keep this website current; however, most communication will be given through e-mail and twitter. As you look through the website pages, please keep in mind that they are in the process of being updated. For the first day of school, I will meet students outside the building in front of the kindergarten wing. I plan to greet each student with a name tag. 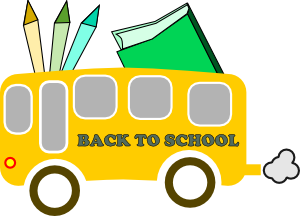 I plan to collect each child's transportation sheet/dismissal plans for the first day, at that time too. You should have received a transportation sheet in the mail with your child's welcome letter and teacher assignment. If not, I will have extras available. There will be a paraprofessional assisting as well. Parents please give your hugs and kisses outside the building and wave to your child as they head in by themselves, with their class. Please note, parents are only allowed into the building through the main office. This is safety rule that we adhere to and model for the students day one. I am looking forward to another amazing Cougar year at Coolidge. (this is a half day, morning only). This form can be found under "Times & Transportation."